When I buy a box lot of slides from an estate auction, I usually have no clue what I am going to find and get really excited when an unusual or offbeat photo shows up. 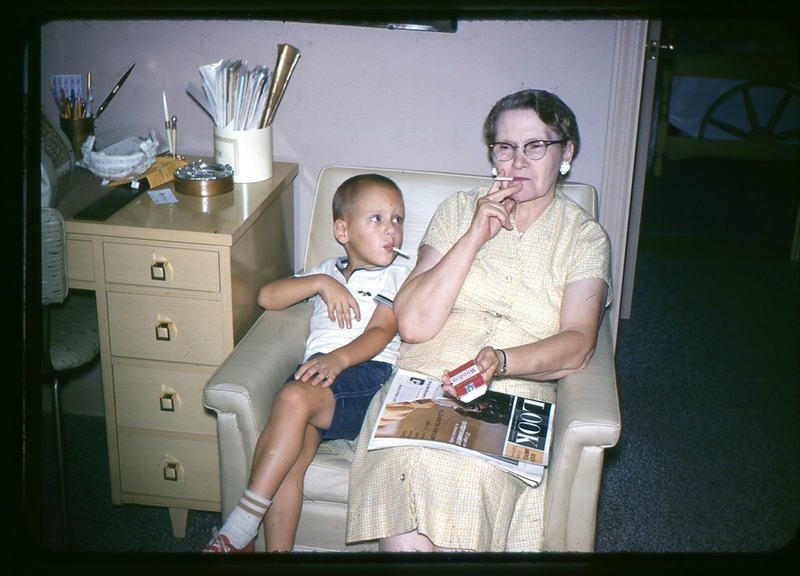 This slide of a little boy imitating his grandmother smoking a cigarette is my cool find for the day. In today's society a photo like this posted to Facebook would cause quite an uproar and comments from friends with parenting advice.